This guide will explain how to get Mikuia Levels on your channel. Step 1 Enable the bot. 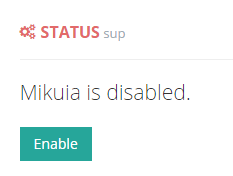 Enable Mikuia by following the Quick Start Guide up to Step 3. That's it. You're done. Enjoy.